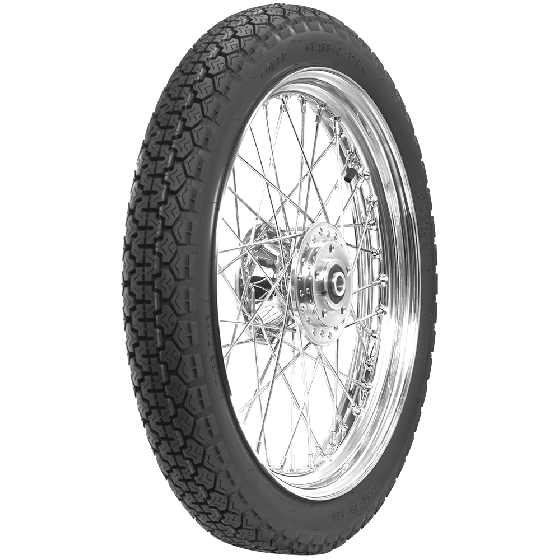 Coker Classic E70K motorcycle tires offer vintage bike enthusiasts a classic tread design and sizes for popular fitments. The E70K is available in 3.25-18 and 3.50-19. 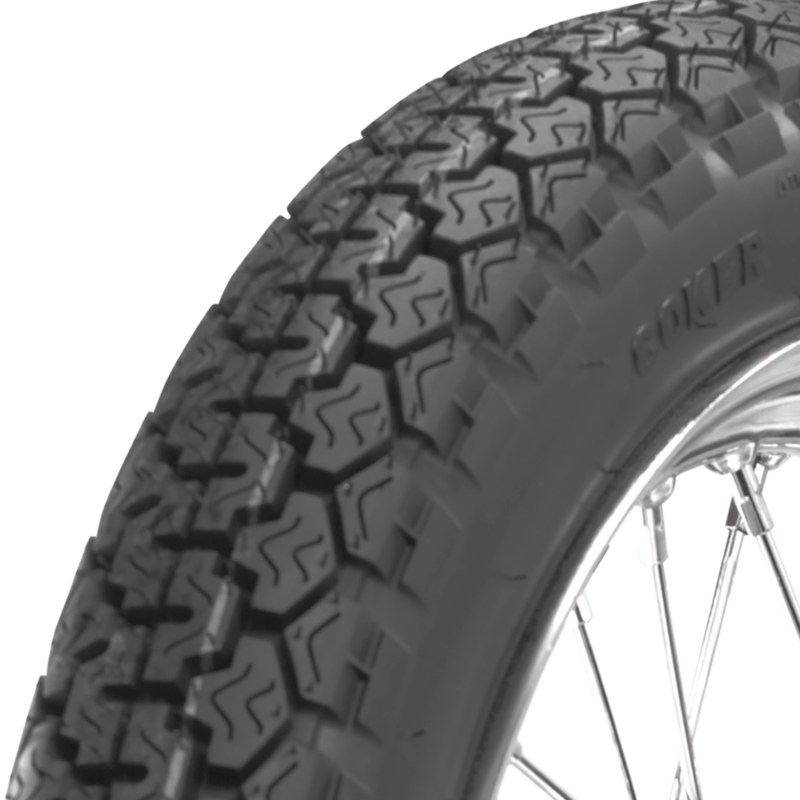 Coker Classic Motorcycle tires bring great vintage style built with modern rubber compounds to the consumer. 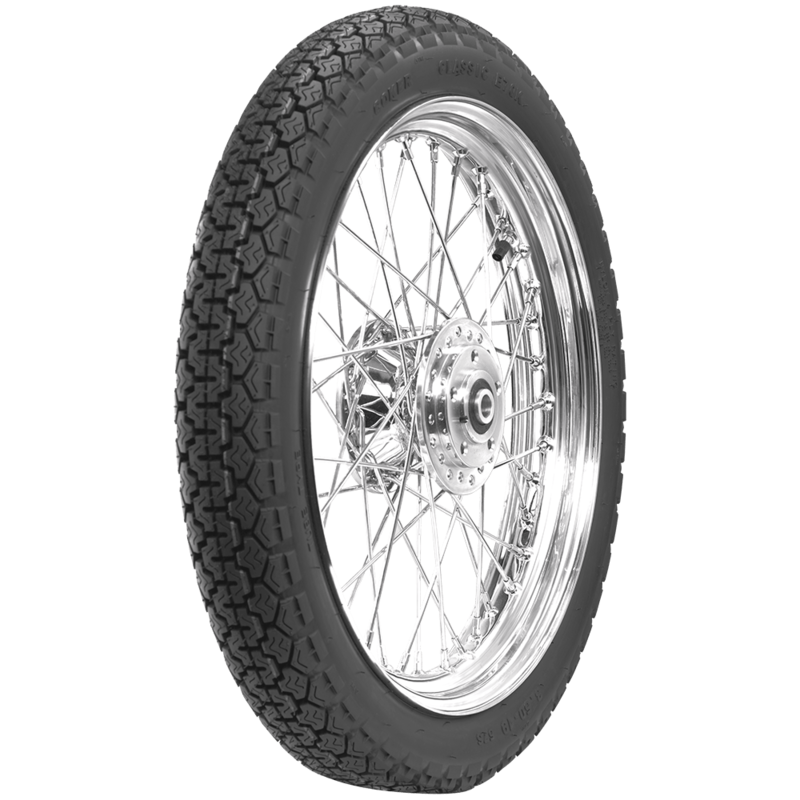 For classic or custom, these are fantastic tires for your motorcycle project. 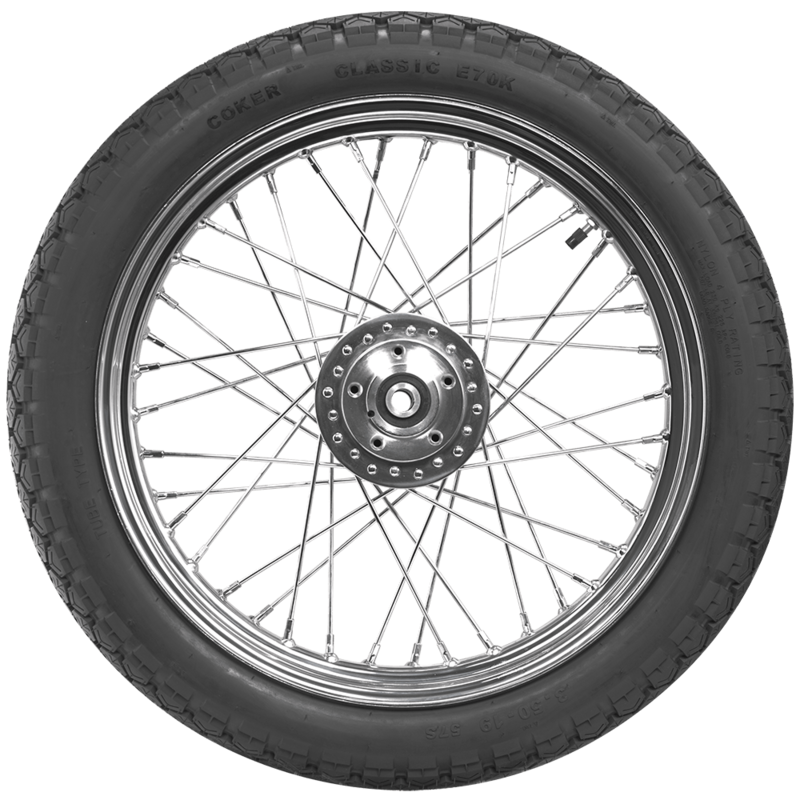 Coker Tires Motorcycle selection is huge and features hundreds of fitments for vintage, antique and custom motorcycles. I am looking to replace 100/90-19, 110/90-18 are those size corresponding? A 100/90-19 translates to between a 325-19 and 350-19. A 110/90-18 translates to between a 375-18 and 400-18. I have a Honda CL 350 Scrambler which needs a 3.00x19 (can go to 3.25) front tire similar to the Classic E70K pattern. Do you have something? We do not have a 300-19, and the only 325-19 available is this tire. Because our tires are intended for antique and vintage bikes, they are not tested for top speed. As a result, there is no max speed rating available for these.